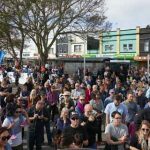 Saturday 19 May 2018 marked the official opening of the new Mt Albert town centre. 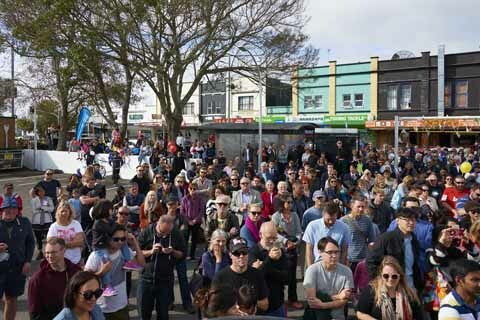 The opening was attended by Prime Minister Jacinda Ardern, Mayor of Auckland Phil Goff and a number of other local dignitaries to mark the completion of the $6.5 million Auckland Council and Albert-Eden Local Board funded project. Rob Walsham, Envivo’s Principal Engineer – Structural and Project Lead attended the opening. Envivo provided civil and structural engineering for the project as well as topographical and 3D laser scanning. 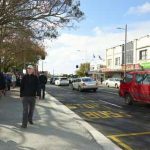 The Mt Albert town centre upgrade was a design and build contract led by John Fillmore Contracting (JFC Ltd), with Boffa Miskell providing the landscape design. The project involved upgrading a 350m stretch of road, 150m north of Mt Albert Road and 200m south along New North Road from the Mt Albert Road and Carrington Road intersection. 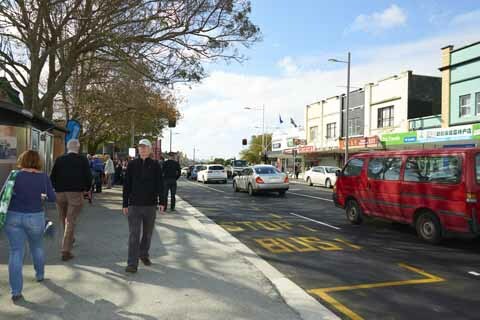 The new town centre’s streetscape design seeks to acknowledge the past and create a legacy for the future by reconnecting the town centre with Owairaka- Mount Albert. The project was successfully delivered after extensive community engagement with local businesses and residents. To find out more about how Envivo’s multi-disciplinary team can assist you, please contact us. Photography by Terry Small at Sonicwave.